I am past the worst of the jet lag. I think.. I was going to continue sharing my journey in chronological order, Dead Sea, Jerusalem then Ethiopia, but,,,, I had such a great time in Addis Ababa and came back with such amazing treasures and opportunities that I simply couldn’t keep it all under my hat. I am bursting to talk about my finds and the great luck that came my way. 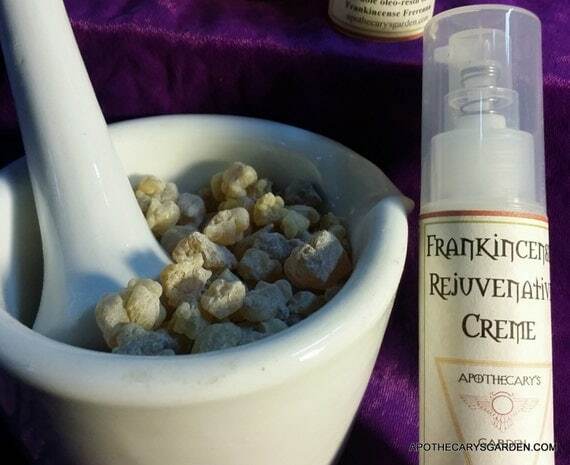 Three new and rare types of Frankincense. All native to Ethiopia and each distinctly unique. A supply of their distilled oils and the most heavenly essential oils of Opoponax and Palmarosa on their way here soon. The trip from Israel to Ethiopia was booked on the fly two days after we arrived in Israel, four days to get organized for it..
For the past couple of years I had researched and hoped one day to visit Ethiopia, make contact with farmers/collectors and suppliers of Civet paste, Myrrh and Frankincense, but until I bought the ticket, it was only a theory. A wisp of a dream that rose and wafted around in my mind with visions of visiting Frankincense trees in Yemen, Dragon’s Blood trees on Socrato island, and vendors sorting grades of fresh harvested Boswellia Carterii/Sacra Frankincense in Oman. 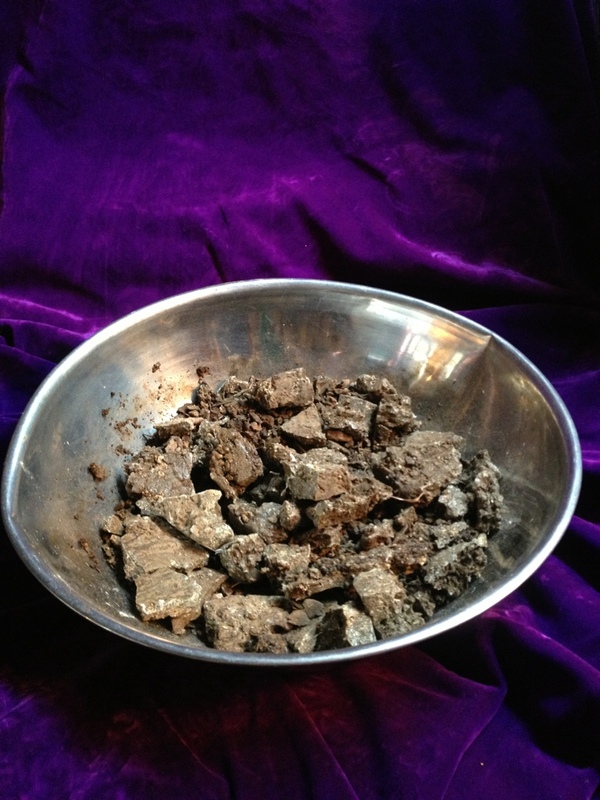 In 2012, while researching Frankincense chemistry and looking for reliable ways of distinguishing between the different types, I discovered the website of another “Apothecary” and teaching garden in Addis Ababa Ethiopia. 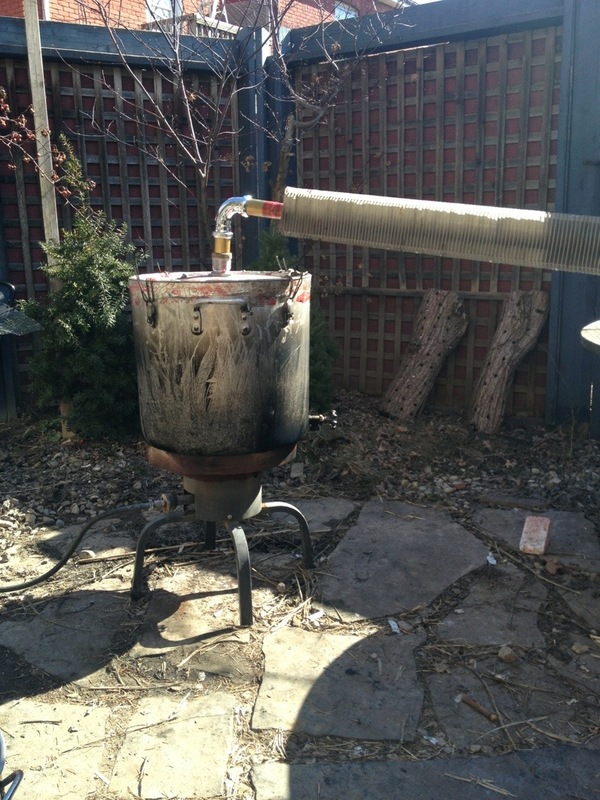 Not only was there a teaching garden associated with the website, the person who ran the site seemed an accredited expert in Frankincense and African medicinal plants, made and sold herbal products from local plants as I, and was a distiller and supplier of essential oils from those local plants and oleo-resins. Wow! 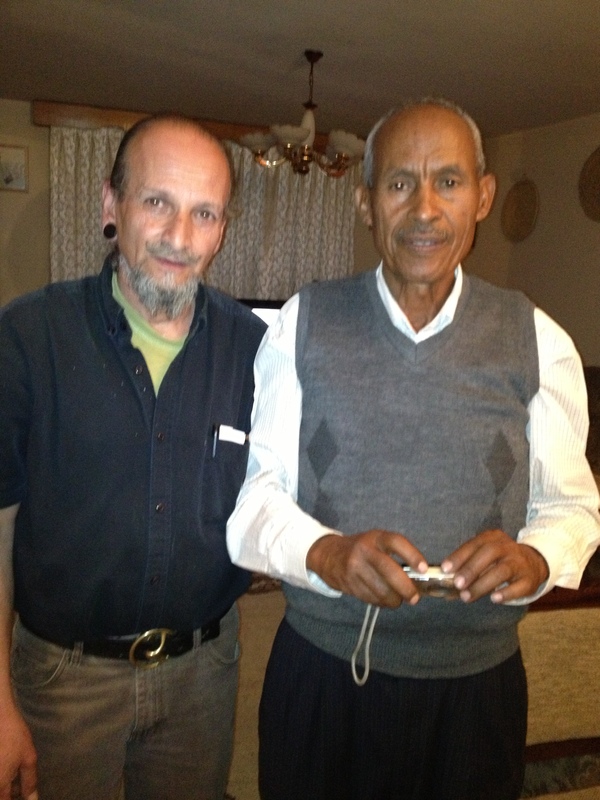 After arriving in Israel and with only a few days notice, I let him know I would be in Addis Ababa, could we meet? The timing was tight, he had a local trip booked for that week, and was chairing an annual congress of the Chemical Society of Ethiopia. Very tight timing. University of Addis Ababa. Grad students,(my babysitters), performing an extraction of Moringa seeds. In short, I was his guest at the University of Addis Ababa for 2 days, His grad students expanded their social skills and their command of English by babysitting me, (poor guys, I kept disappearing ). I listened to some very interesting presentations on the development and uses of local plant and mineral resources from the perspectives of organic and inorganic chemistry. Most notably I spent time enjoying his laboratory where his students were doing an extraction of Moringa seed, preparing it for chemical analysis, and visiting the specimen gardens on the university grounds. Both these made me feel right at home. 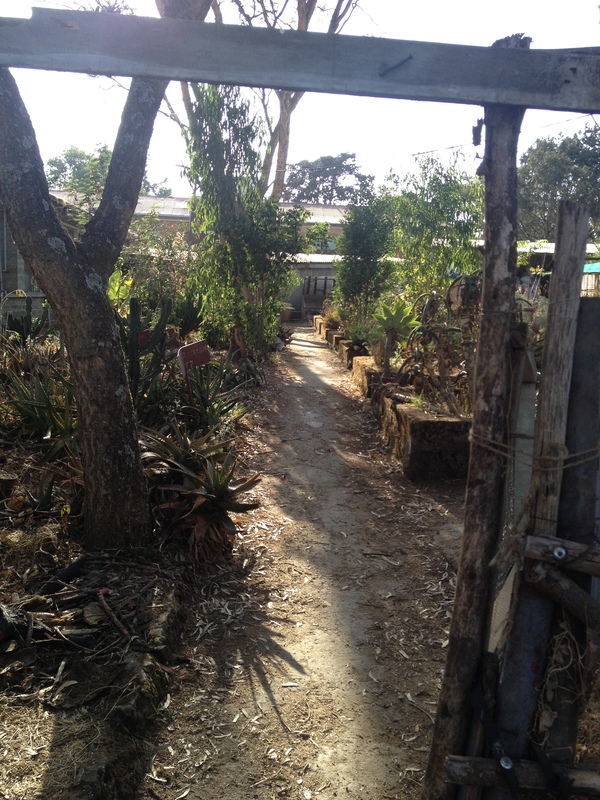 Running between laboratory and garden, that’s me! Our time was limited, but we made the most of it, talking when we could and getting as many of our goals accomplished as our time would allow, while planning a few future projects together. His invitations to dinner at his home where I met his talented wife, Chemist and business partner, were both gracious and productive. It seems quite true that Ethiopians are a very warm, hospitable and generous people based on my week long experiences. 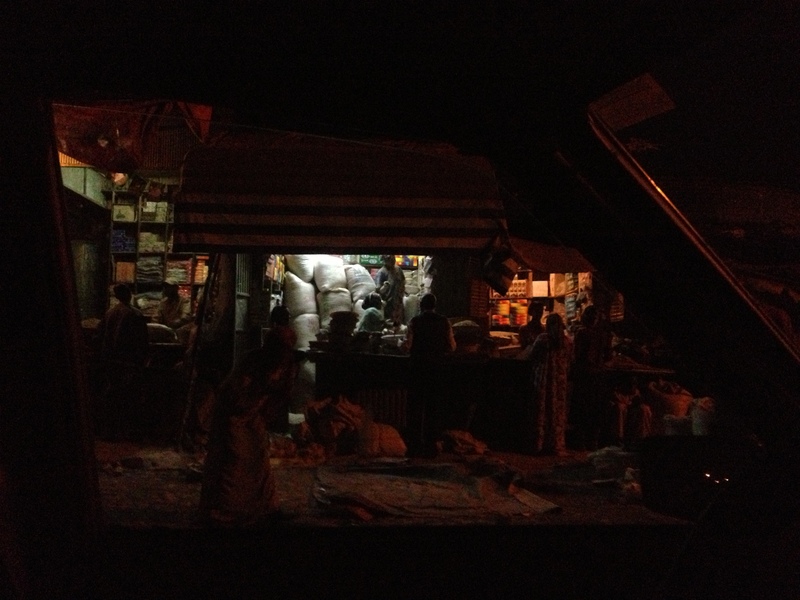 We visited a grassroots resin “supplier” in the the “Mercado”, ( Africa’s largest outdoor market), after dusk. When it was quiet enough so one could actually drive and walk the rocky unpaved roads between the bustling people of the market without being knocked down or running over someone selling on the road, and dark enough so no one would notice the tourist in the car and decide to multiply the price of resins astronomically. This is unfortunately the norm. It is beyond haggling or dickering as in the Mediterranean, where you have a reasonable chance to haggle and actually get a good price even if you are a tourist. There are simply two different price structures, tourist and negotiable. Buying Frankincense at the Mercado in Addis Ababa. Felt like a back alley drug deal. It felt more like a drug deal in a dark alley. Samples covertly sent back and forth to be approved by me in the dark car and five kilo bags put in the trunk. But boy it was worth it! 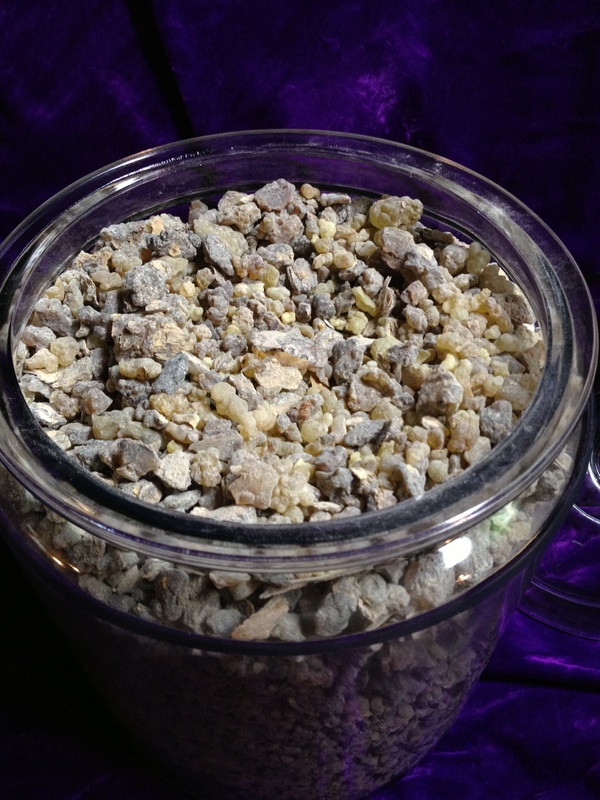 Fresh fragrant Frankincense resins, each more distinguished than the next. 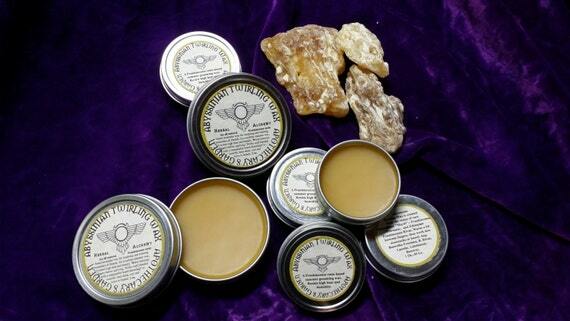 Boswellia Papyrifera Frankincense is, I believe, the Tigray type. From the North of the country. Used by all Ethiopians in their daily coffee ceremonies throughout the country and purchased in bulk by the church. The essential oil is woody & balsamic with a sweet, haunting feeling, reminiscent of ancient souks and sacred stone churches, with a citrus note that would bridge to other citrus notes perfectly. 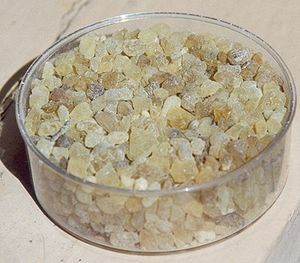 Boswellia Rivae Frankincense is from the Ogaden region in the south east and by far the most complex in its scent. It reaches in and moves you from bottom to top.This oil and that of the Neglecta would make precious additions to any perfumers collection. Not true,, they all would! 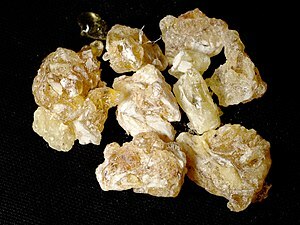 Boswellia Neglecta Frankincense, (I neglected to ask which region it was from), has a beautiful, creamy rich middle note with a warm balsamic nutty base , yumm. I believe it got its name from not getting classified till much later than the others. Neglected. I will have to research that further. Again, what a unique incense Neglecta makes, and the essential oil is so different than the Boswellia Serrata and Sacra we are all so used to. 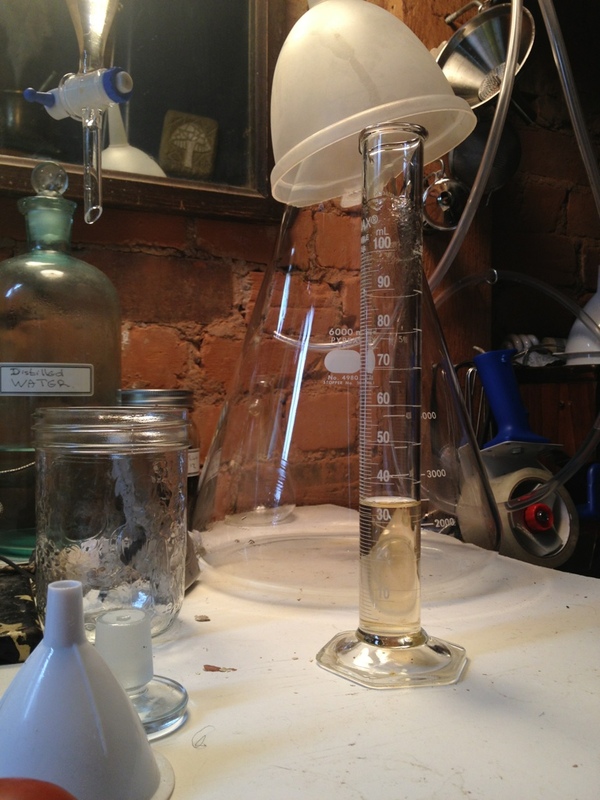 So,,, I now have a few Kilos of each resin to experiment with, maybe a little to sell, and a few liters of essential oils being distilled and packaged for shipment soon. I feel very lucky. Blessed. 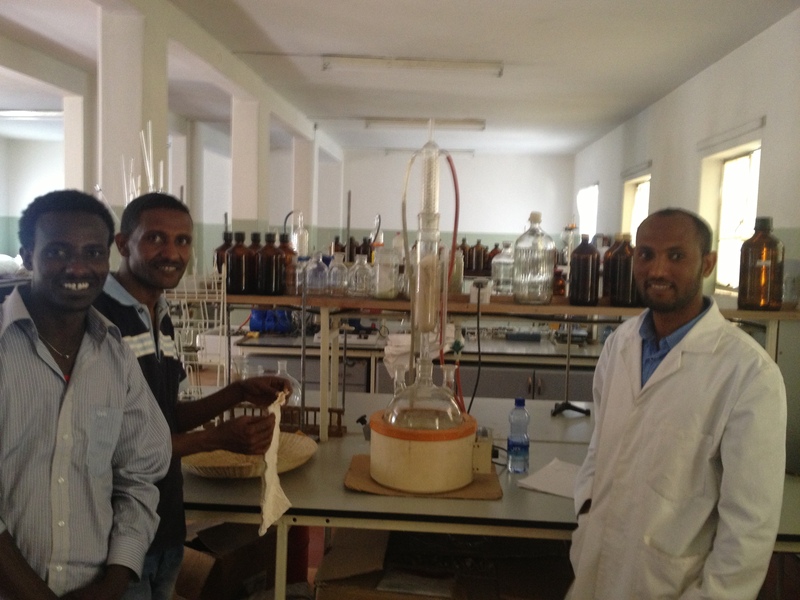 We established some future goals of working together over the next few months to experiment in both our labs, to explore ways we could add value to Ethiopian resources and products, ways we could work together for our mutual benefit while helping a developing country develop. I felt inspired and exited by the creative possibilities bubbling in my brain. We discovered between us we could meet goals we both have had for a while that pertain to improving the viability of refining Civet products. in Ethiopia. I have been trying to establish a reliable Civet connection in Ethiopia for years. It seems I may have a chance to not only visit a traditional Civet farmer in person, but could be part of the process of analysis, extraction, refinement and marketing of the finished product, (Civetone), which till now was controlled by large foreign companies, while the Ethiopian economy received the minimum benefit in the chain of commerce, supplying only the raw product at the lowest relative price. At the very bottom of the ladder. Feels like a win, win, win situation. My favourite. After an extended absence here, I am back. With much to share. Israel and Ethiopia mainly. 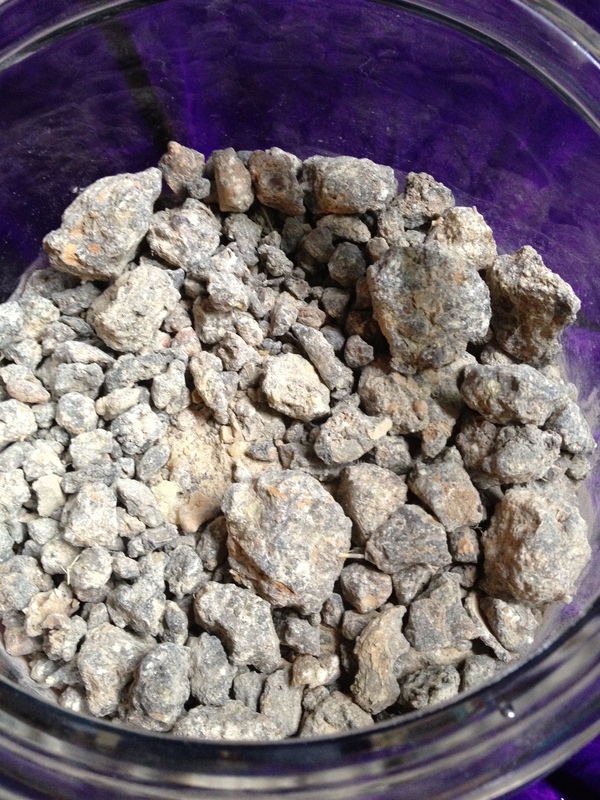 New and rare types of Frankincense resins, Myrrh, heavenly Opoponax and a Civet adventure in the Ethiopian hills that has yet to unfold. It will take some time to catch up, but here’s a start. 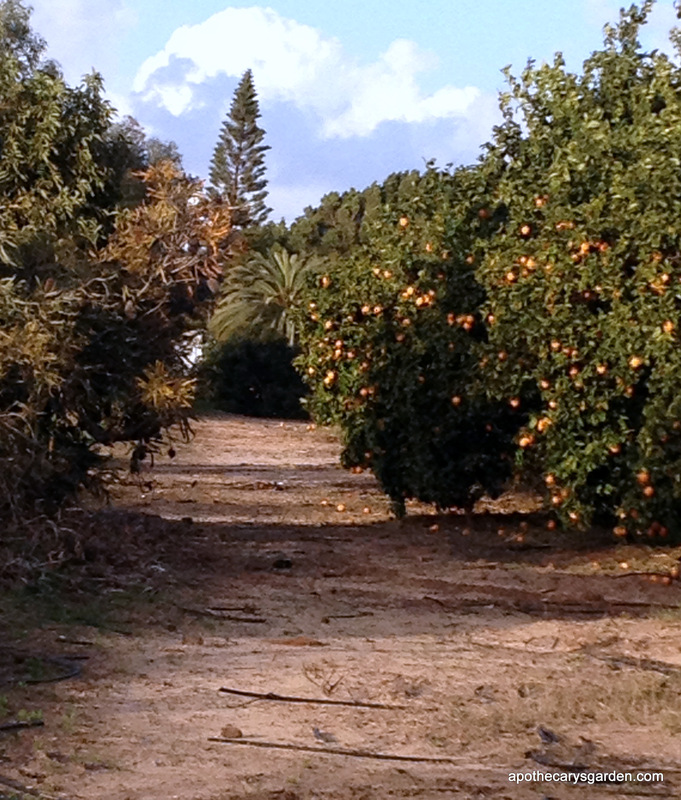 Orange orchard Rehovot Israel. The high cost of water makes growing and selling citrus unprofitable, leaving hundreds of thousands of tons of fruit to fall unharvested each year, free for the picking. Israel and Ethiopia both gave us perfect weather. Cool bright mornings, with the first rays of sunlight gently warming. Bright sunny days that would be sweltering if not so perfectly moderated by a cooling breeze. 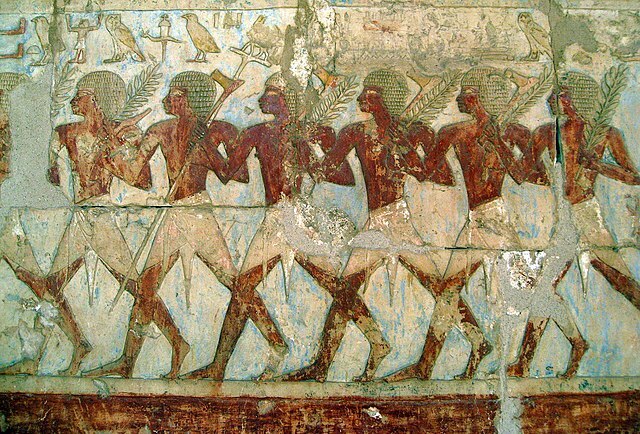 In Israel it came off the Mediterranean, morning and afternoon, In Ethiopia it was like an endless bubbling spring of refreshing air flowing up and over the many mountain ranges that cradle Addis Ababa. In my home town of Rehovot, in Israel, I stocked up on the hard to get “Yemeni chewing gum”, A.K.A. 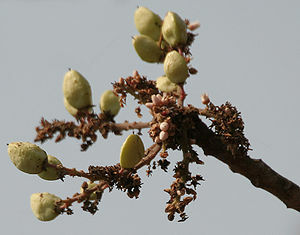 Boswellia Frereana, or Somali “Maydi” Frankincense. 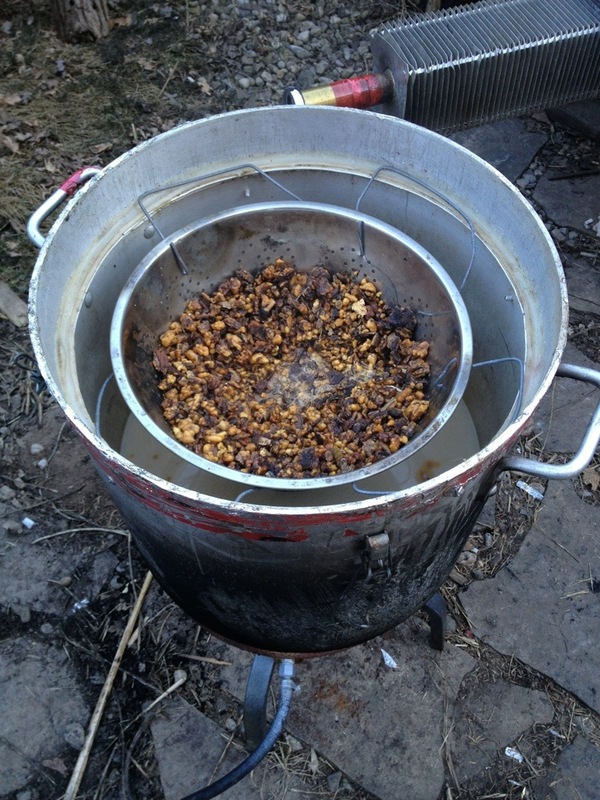 Brought in fresh from Yemen by those of the last Jewish immigration wave from Yemen. From what I hear they carry dual citizenship and freely go back and forth between Israel and Yemen doing business and visiting friends there. The same spice shop,”Gedasi’s, who has been there since I was a teen, also carries another variety of Frankincense at half the price. They say it also is from Yemen. It looks like Boswellia Sacra/Carterii, but does not compare to the sample I received in Ethiopia which came from Somalia. 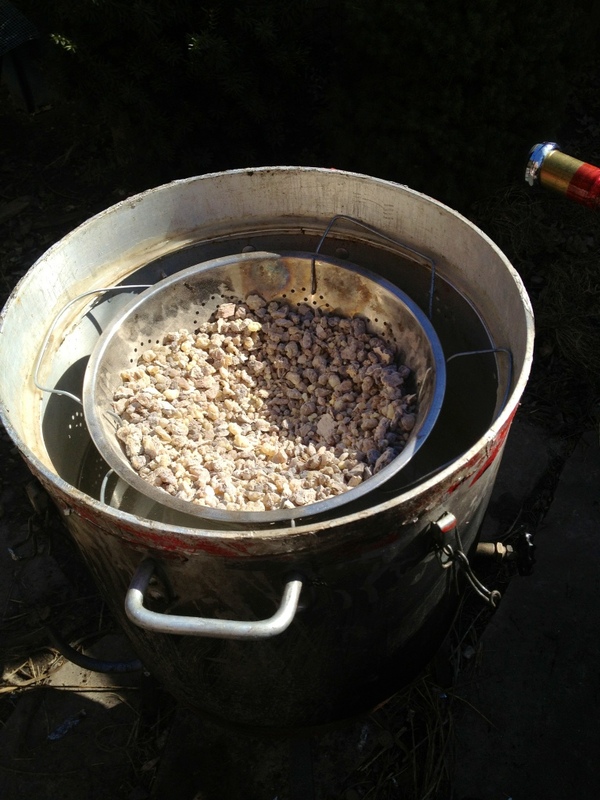 There are only so many kinds of Frankincense trees. I am still not certain from which this type comes. 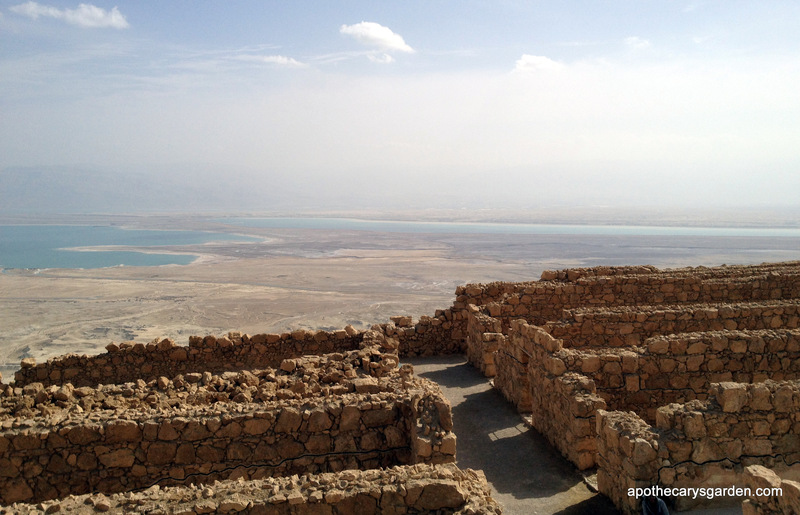 We spent two days touring the desert and the Dead Sea. Wow! What dramatic, beautiful, stark vistas! This was the first time I had gone as a tourist in decades. I saw it with different eyes and enjoyed it in new ways. We decided we didn’t want to stay in a stuffy mainstream hotel, so we found something that was more like a Bedouin encampment. A true oasis in the middle of the desert. 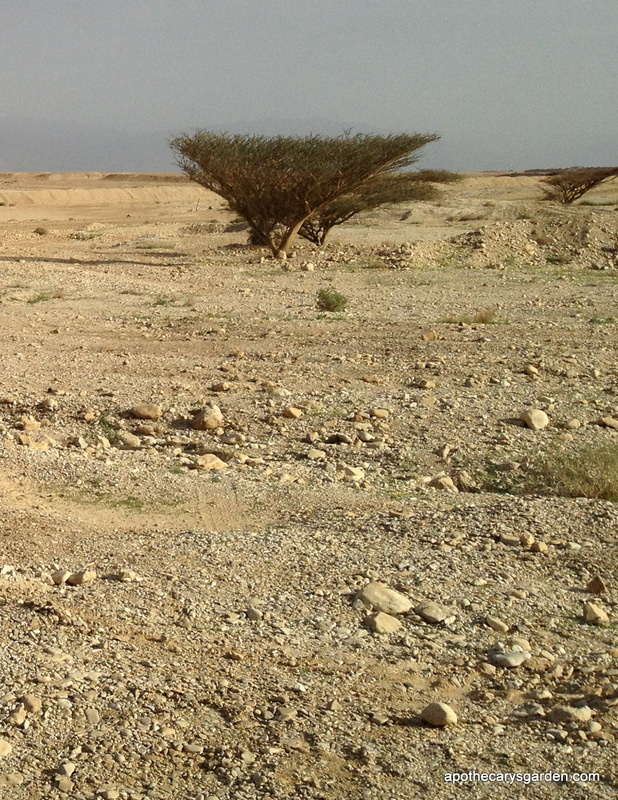 After miles and miles of barren rocky hills and sweeps of sandy desert, a lush stand of 50 date palms stood out green and inviting from the dry desert. Very cool!, literally, and inviting. They offered authentic Bedouin tents in different areas of the encampment, tents that would hold a hundred or so guests, with traditional woven camel-hair covers that were huge! As in the Bedouin tradition you could light fires under the tent for warmth at night, cooking food and of course for making that strong sweet tea they love. Lots of room for sleeping bags and blankets on the ground. 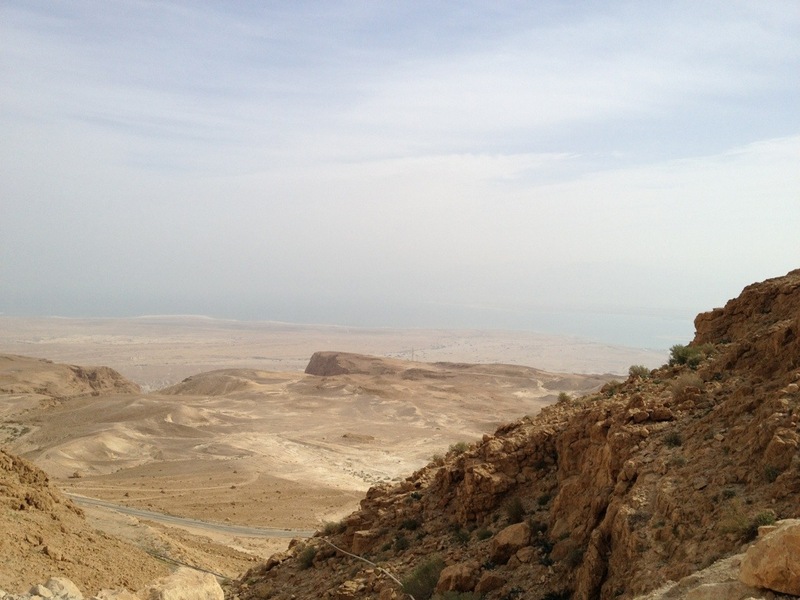 Their main occupants and guests were busloads of high school kids out to climb Masada in the morning. I think we were an oddity there, and were given a modest single room that was likely used by counsellors and chaperons. One with with a real roof and hot water. The decor was local and unusual. Light shades made from big chunks of solid sea salt from the Dead Sea. 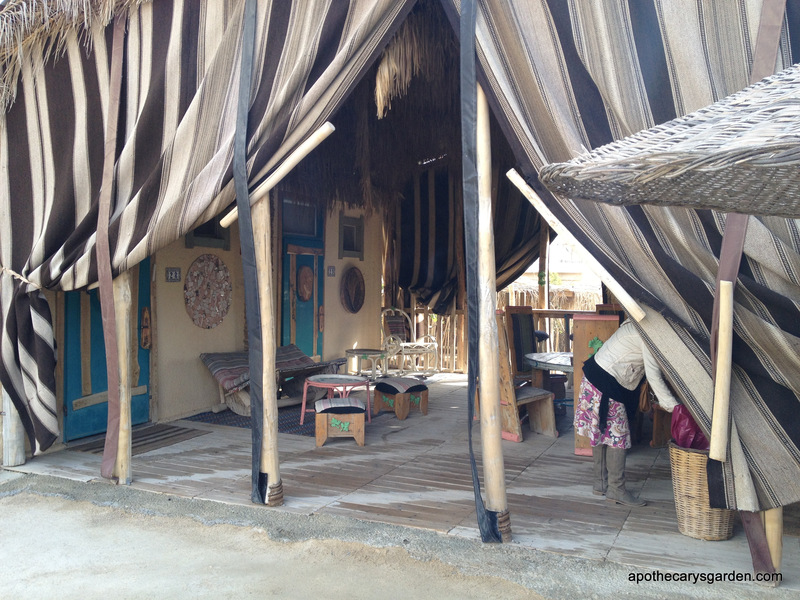 Date Palm frond stalks for bars on the bunk beds, stools from date palm trunks etc..It was definitely different. The food was served by local Bedouins in a vast communal dining room. Traditional Bedouin fare with a bit of an Israeli twist. Breakfast was an Israeli style Kibbutz spread with everything from Shakshuka, (eggs simmered in a tomato sauce, to European pickled herring. French toast to Pita, humus and mediterranean salads. All through the drive desert plants were surprising in their diversity and sheer will to live. Winter rains were bringing the desert back to life. Most photos I took were of specimens I have yet to identify. So, more to come on that subject.